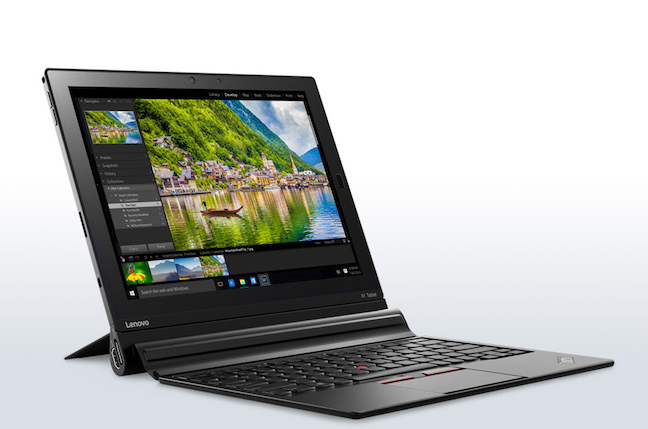 Review Lenovo has announced almost two dozen new and refreshed models for 2016, including new arrivals to its staple Thinkpad X1, T series and X series business ranges. 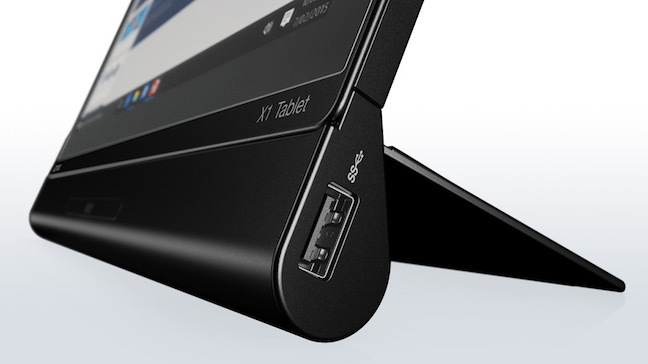 The most eye-catching of these is a serious Surface competitor, the X1 tablet. In the premium business segment – where Microsoft’s Surface is stealing all the oxygen – the X1 Tablet has an OLED screen, and as you might expect, several attachable bits and pieces. There’s a Surface-style 4.6mm Think keyboard which will come in three colours. In addition you can tack on a 3D imaging module, a Pico projector that can create a 60-inch image from 2.5 feet away, and also an extra battery module for a claimed 15 hours of usage. The battery module has its own USB and a full sized HDMI port. A “WiGig Dock” is also on its way, a 802.11ad cube with two display ports and I/O slots on board. By the way, not mentioned in the press material is a stylus, so we suspect this isn’t anything new. Various other models get a makeover. The X1 Carbon is lighter (at 2.6lbs) than before, thanks to "a new kind of magnesium" used in the casing. The X1 Yoga convertible can be ordered with an optional OLED screen. A new Yoga convertible range that features the complex "watch strap" hinge expands with a 900S and a 900 Business Edition model. Some but not all of the announcements are listed here, while some of the promotional material is appearing officials here. Both the X1 Tablet and X1 Carbon can do LTE, something Microsoft includes in its budget Surface, but not the premium Surface Pro range. How much will it all cost? Lenovo has yet to reveal EMEA pricing, but US buyers can pick up the X1 from next month from $899, when the Productivity Module (aka the battery with USB ports) is also available, at $149. 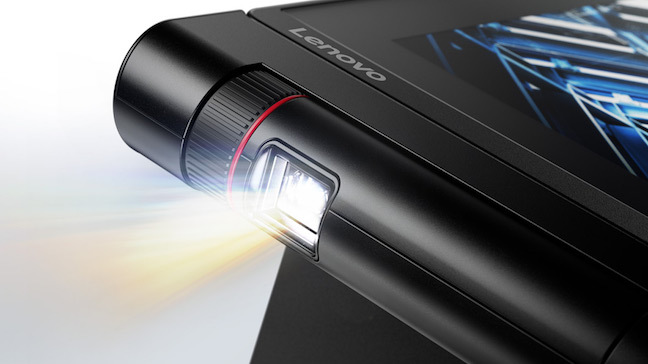 The Projector Module and 3D Imaging Module arrive in May at $279 and $149 respectively. The X1 Yoga comes out this month Stateside for $1,449, with OLED models in April. The refreshed Carbon arrives next month, starting at $1,449. The business T and X workhorses aren’t forgotten, although only the T gets a physical redesign. The X260 starts at $929 and retains the same case and keyboard design as the X250, and the default screen resolution remains the now-pokey 1366 x 766 display at 200 nits – you have to specify a brighter, higher resolution (1920 x 1080) display at order time. The 14-inch T460s loses the replaceable battery featured in its predecessors, but benefits from a 0.8lb weight loss over the T450s. It now takes up to 24GB of RAM and can be ordered with a WQHD (2560 x 1440) display. A high performance sibling, the T460p, can take up to 32GB of RAM. 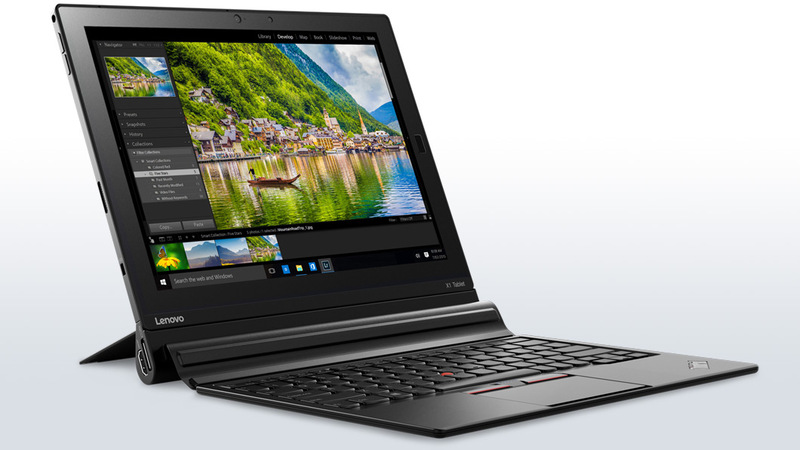 The 15-inch, 5lb T560 touts Intel’s Skylake processors. Loyal Thinkpad buyers have criticised the keeper of the iconic Thinkpad flame in recent years for making the notebooks less serviceable and more "consumer focused” with each iteration. Thinkpads have sprouted such dubious “enhancements” as chiclet keyboards, soldered-on memory, and some weird touchpad designs.